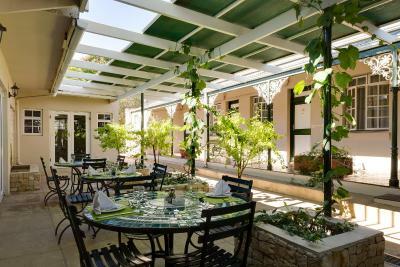 Lock in a great price for Protea Hotel by Marriott Dorpshuis & Spa Stellenbosch - rated 8.1 by recent guests. 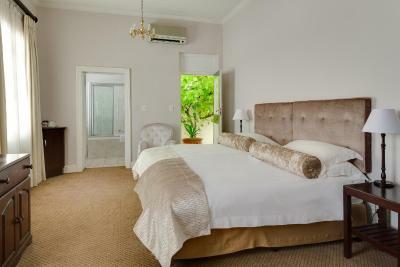 The hotel is really cozy and beautiful, with the classic Cape Dutch Architecture. We were spending our Anniversary in Stellenbosch and the staff went out of their way to spoil us. 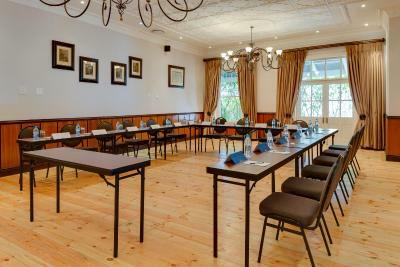 We felt really welcome and will not hesitate to return to this hotel the next time we are in Stellenbosch! Reception by staff starting from security, front desk and kitchen staff was warm and welcoming. 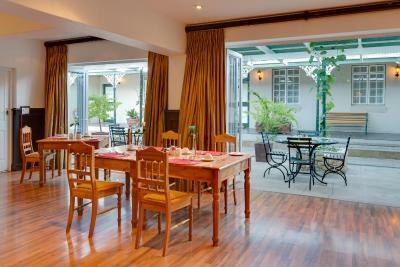 Rooms were always clean, kitchen clean food healthy and up to standard really I enjoyed the stay. 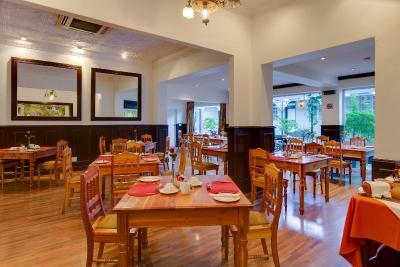 Excellent staff, spacious rooms, and good breakfast. 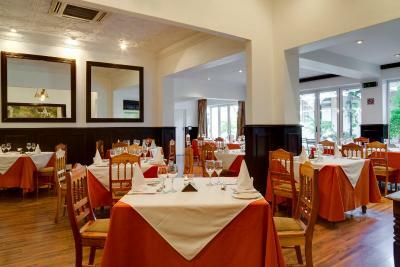 Reasonably located (10 minute walk up to main restaurant area) even though not in the picturesque part of town. The staff was friendly and always able to assist. The WiFi was a problem but they tried their best to sort it out asap. The staff were incredibly friendly, yet professional. 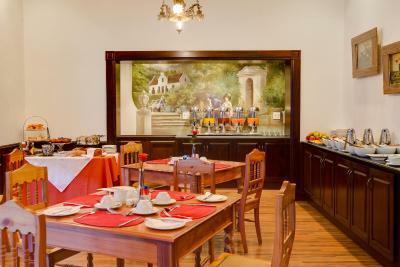 Breakfast was great with quite a variety and, once again, friendly staff. 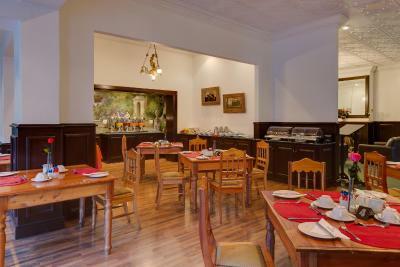 The room was very spacious and location was close to a lovely café. The room was quiet. Very comfortable. Staff were friendly and accommodating. Breakfast was delicious. 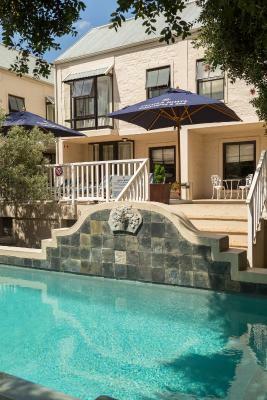 Protea Hotel by Marriott Stellenbosch Dorpshuis & Spa is an elegant Victorian Boutique Hotel in Stellenbosch, South Africa. 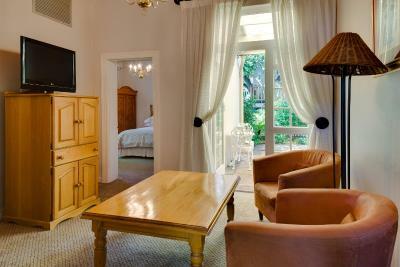 Surrounded by vineyards and mountains, the hotel combines the hospitality of a traditional guesthouse with modern luxury. 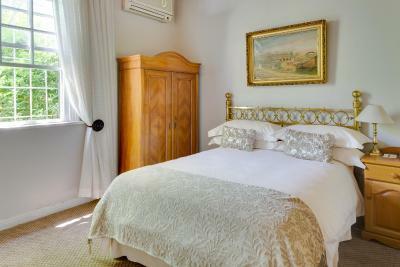 The rooms at the Protea Dorpshuis are each individually decorated with antique furniture. 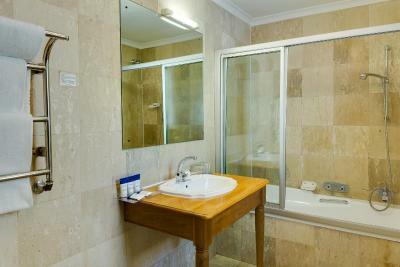 All rooms include air conditioning and satellite TV. 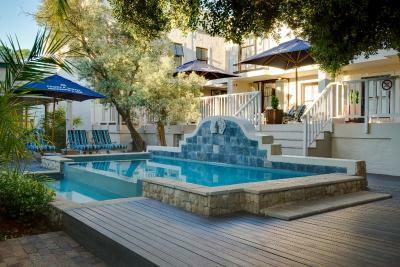 Protea Hotel by Marriott Stellenbosch Dorpshuis & Spa has an outdoor pool that is heated in winter. 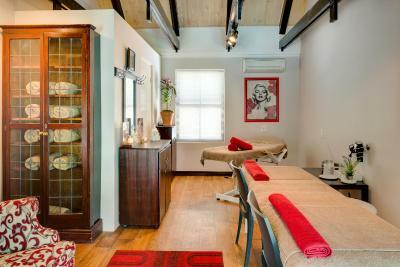 Dorpshuis Spa offers a sauna, massages, and a variety of deluxe skin-care treatments. 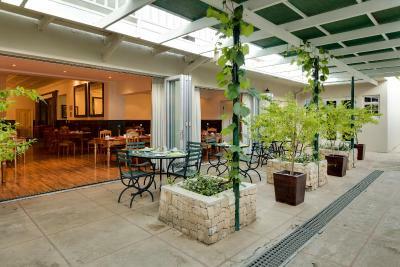 The Oak-leaf Restaurant serves traditional South African fare such as Cape Malay Bobotie, Afval and Venison dishes. 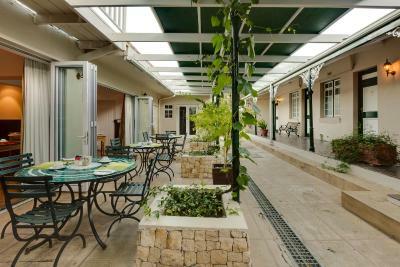 Guests can enjoy afternoon tea and coffee on the vine-shaded patio. 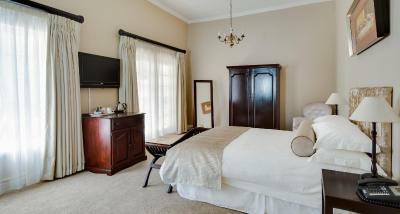 The hotel is a short drive from De Zalze golf club and scenic hiking trails. The beach is a 15-minute drive from the hotel. Free parking is available. 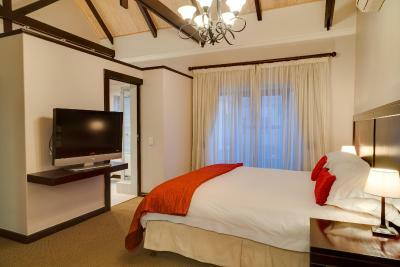 Protea Hotel by Marriott Dorpshuis & Spa Stellenbosch has been welcoming Booking.com guests since 18 May 2010. 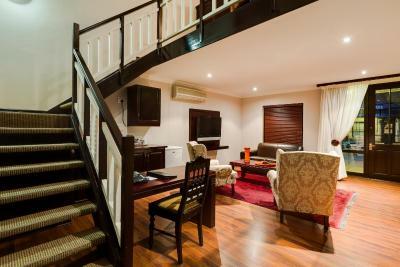 When would you like to stay at Protea Hotel by Marriott Dorpshuis & Spa Stellenbosch? 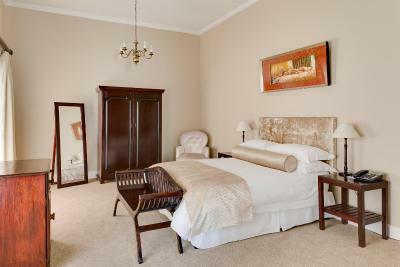 This twin/double room features a view, executive lounge access and sofa. 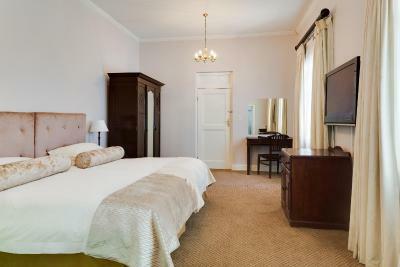 This double room features a tile/marble floor, executive lounge access and minibar. 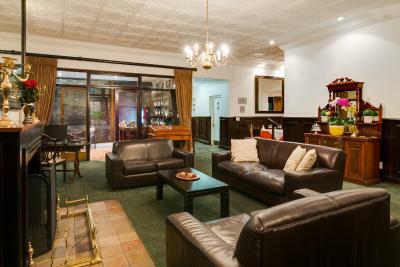 The hotel offers a classic ambience and quiet atmosphere with an antique lounge, log-fire, deep sofas and a lovely restaurant called the Oak Leaf that serves an authentic South African buffet breakfast. 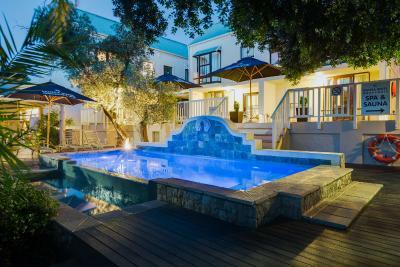 The Dorpshuis Spa is a unique feature of the hotel where guests can have relaxing spa days and treatments. 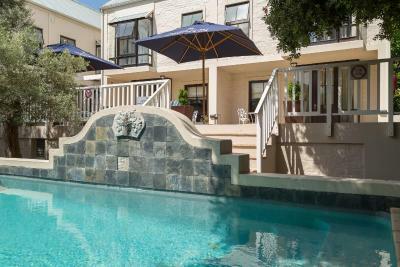 House rules Protea Hotel by Marriott Dorpshuis & Spa Stellenbosch takes special requests - add in the next step! Protea Hotel by Marriott Dorpshuis &amp; Spa Stellenbosch accepts these cards and reserves the right to temporarily hold an amount prior to arrival. 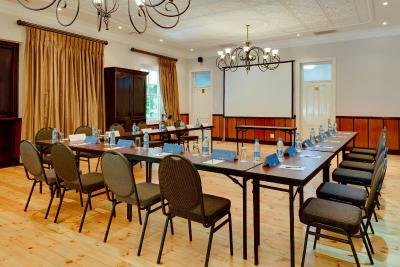 Protea Hotel by Marriott Dorpshuis & Spa Stellenbosch accepts these cards and reserves the right to temporarily hold an amount prior to arrival. That my favorate tv channel was not on and the parking! It is a bit tired. Only double bed and now Queen or King. Wi-fi seems to run out of quota very quickly, and swimming pool is very small (really just a tub). 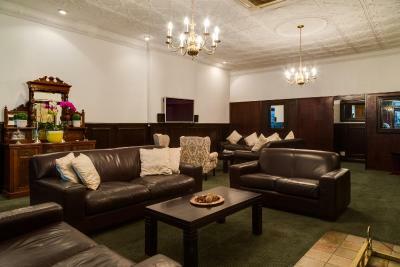 The ambiance of the lounge was magnificent. For the money, I wasn't blown away by the accommodations. 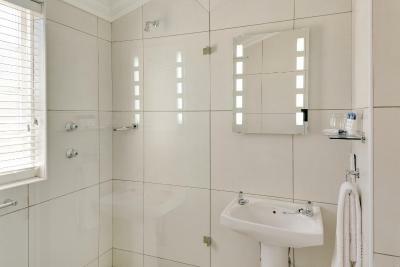 There are much less expensive options in the area (mainly guest houses for rent). There wasn't an iron or ironing board in the room.